It is a common misconception that a DUI must involve alcohol. DUI is shorthand for Driving Under the Influence. There are many substances that have such an effect on a person to render them ‘under the influence’. The state of Illinois has 7 different types of DUI that can be charged depending on what substance is impairing an Illinois driver. In order to understand the challenges an Illinois driver will face when charged with a DUI in the state of Illinois it is extremely important to understand the type of DUI that you are being charged with. Each of the 7 different types of DUI carry a different set of elements that the State must prove beyond a reasonable doubt in order for an Illinois driver to be found guilty of DUI. 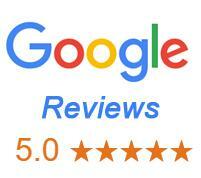 It is important to hire a DUI Attorney who has experience handling whatever DUI charge you may be facing. The first type of DUI in the State of Illinois is commonly referred to as an (a)(1) DUI. An (a)(1) DUI is when a person is operating a motor vehicle and the alcohol concentration in the person’s blood, other bodily substance, or breath is 0.08 or more. If a DUI is written under this section it means that the Illinois driver gave a chemical sample that was tested and disclosed alcohol in their system in excess of 0.08. The chemical test could be given in the form of a breathe sample, a urine sample, or a blood test. If a blood test is given it may be done at the consent of the driver or in some circumstances a hospital may draw an Illinois driver’s blood in the course of medical treatment. Blood that is drawn in the course of medical treatment often happens after an Illinois driver is involved in a traffic crash or other accident where the driver requires hospitalization. In a DUI charged under 625 ILCS 5/11-501(a)(1) the prosecution must prove two elements. First, they must prove that an individual was driving or in actual physical control of a vehicle and second, that the driver had 0.08 a higher concentration of alcohol in their system. The second type of DUI in the State of Illinois is commonly referred to as an (a)(2) DUI. An (a)(2) DUI is when an Illinois driver is operating a motor vehicle while under the influence of alcohol. This DUI is charged when an Illinois driver refuses to give a breath, blood or urine sample. Instead, the prosecution will attempt to prove that the Illinois Driver is under the influence of alcohol based on observations made of the driver at the time of arrest. These observations will include the driver’s performance on Standardized Field Sobriety Tests, an admission by the driver that he or she was drinking or is drunk, the presence of open alcohol containers in the vehicle and many other factors. In this type of DUI the prosecution must prove two things. First, they must prove that an individual was driving a vehicle and second, that the driver was under the influence of alcohol. A person who is arrested for DUI and who submits to chemical testing as mentioned above will often times be charged with two counts of DUI under section (a)(1) and (a)(2). In that particular instance the prosecution will attempt to prove that the driver was driving over the legal limit of 0.08 and the prosecution will also attempt to prove that the driver was intoxicated based on observations made by the arresting officer. The third type of DUI in the State of Illinois is commonly referred to as an (a)(3) DUI. An (a)(3) DUI is when a person is operating a motor vehicle and under the influence of any intoxicating compound or combination of intoxicating compounds to a degree that renders the person incapable of driving safely. A list of intoxicating compounds as defined by Illinois law can be found here. By definition an intoxicating compound has the effect of distorting or disturbing the auditory, visual or mental processes. An (a)(3) DUI differs from other types of DUIs in that the prosecution must prove three elements. First, they must prove that an individual was driving. Second, they must prove a driver was under the influence of an intoxicating compound. Third, the prosecution must prove that the driver was rendered incapable of driving safely. This type of DUI is generally charged based on the observations of the arresting officers and can include testimony of a certified Drug Recognition Expert or other qualified witness. An Illinois driver who admits to using any one of the listed intoxicating compounds prior to driving may also find himself charged with a DUI under this section. This type of DUI charge can be very difficult to prove as the state must prove which of the specific intoxicating compounds an Illinois driver used and that the suspected substance rendered the driver incapable of driving safely. The fourth type of DUI in the State of Illinois is commonly referred to as an (a)(4) DUI. An (a)(4) DUI is when a person is operating a motor vehicle and is under the influence of any other drug or combination of drugs to a degree that renders the person incapable of safely driving. This charge is most often seen when a driver is being accused of driving under the influence of Cannabis. When a person is charged under section (a)(4) it is alleged that the driver has been using Cannabis to the extent that the driver is no longer able to safely drive. Generally, when a person is charged under section (a)(4) the state will not have access to a chemical test showing that the accused has used Cannabis. Rather, the state will rely on observations made by the officer, admissions of cannabis use by the driver, the presence of cannabis in the car and the odor of cannabis to prove a driver guilty of DUI cannabis. Alternatively, this type of DUI is often charged when a person is under the influence of a legal, prescribed, controlled substance and this legal substance effects a person in such a way that they are no longer capable of safety driving a car. A common misconception is that if a person is taking prescribed medication they cannot be charged with a DUI. This is simply untrue. In this type of DUI a person may be accused of taking more pills than the prescription allows or taking one prescription drug while taking another prescribed drug and the interaction between the two drugs results in impairment in the driver. This type of DUI can often will include testimony of a certified Drug Recognition Expert or even a doctor. An (a)(4) DUI, much like the (a)(3) discussed above, differs from other types of DUIs in that the prosecution must prove three elements. First, they must prove that an individual was driving. Second, they must prove a driver was under the influence of any other drug or combination of drugs. Third, the prosecution must prove that the driver was rendered incapable of driving safely. It is important to note that a DUI charged under section (a)(4) does not have to prove the amount of drugs in a driver’s system, only that those drugs in the driver’s system rendered the driver incapable of safely driving a car. An Illinois driver charged with a (a)(4) DUI may be asked to take a blood or urine test. However, whether a person takes a chemical test or not, the may still be charged with a DUI under this subsection. If an Illinois driver admits to taking prescription pills prior to driving or if a driver has multiple prescription bottles in their purse or car it could result in a DUI charge. It is important to note that if a diver submits to a chemical test that discloses prescription drugs in a driver’s blood or urine it is insufficient to prove a DUI under subsection (a)(4). The state must prove the presence of the drug and that it rendered a driver incapable of safety operating a vehicle. The fifth type of DUI in the State of Illinois is commonly referred to as an (a)(5) DUI. An (a)(5) DUI is when a person is operating a motor vehicle and is under the combined influence of alcohol, other drug or drugs, or intoxicating compound or compounds to a degree that renders the person incapable of safely driving. This type of DUI is charged when a person has consumed alcohol in combination with either an intoxicating compound or drug . Further that combination must render a person incapable of driving a car safely. This type of DUI can also include testimony of a certified Drug Recognition Expert or other qualified witness. 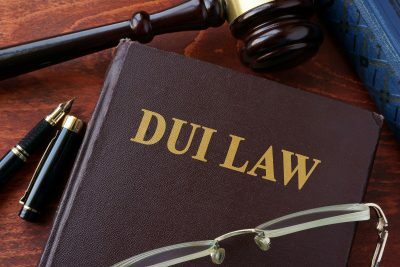 An (a)(5) DUI, much like the (a)(3) and (a)(4) DUI’s discussed above, differ from other types of DUIs in that the prosecution must prove three elements. First, they must prove that an individual was driving. Second, they must prove a driver was under the influence of alcohol and other drug or drugs or intoxicating compound or compounds. Third, the prosecution must prove that the driver was rendered incapable of driving safely. This type of DUI can be charged based on chemical tests that disclose multiple substances in a driver’s system along with alcohol. The state does not need to prove that a driver has alcohol over the legal limit of 0.08, but rather must prove the presence of some alcohol and the presence of drugs or intoxicating compounds. The sixth type of DUI in the State of Illinois is commonly referred to as an (a)(6) DUI. An (a)(6) DUI is when a person is operating a motor vehicle and is there is any amount of a drug, substance, or compound in the person’s breath, blood, other bodily substance, or urine resulting from the unlawful use or consumption of a controlled substance listed in the Illinois Controlled Substances Act, an intoxicating compound listed in the Use of Intoxicating Compounds Act, or methamphetamine as listed in the Methamphetamine Control and Community Protection Act. This type of DUI is often charged when a person uses prescription pills without a valid prescription or when a person uses illegal drugs like heroin or cocaine (for a list of controlled substances see 720 ILCS 570) , intoxicating compounds (for a list of intoxicating compounds see 720 ILCS 690/1), or methamphetamines (for a list of methamphetamines see 720 ILCS 646/5). The amount of the drug, substance or compound in a driver’s system does not matter for the purposes of a DUI charged under section (a)(6) because it is unlawful for a person to have any amount of the substance in their system. This type of DUI can include testimony of a certified Drug Recognition Expert or the results of chemical tests to prove the presence of drugs or intoxicating compounds in the driver’s system. In a DUI charged under (a)(6) the prosecution must prove three things. First, they must prove that an individual was driving and second, that the driver had any amount of a drug, substance, or compound in the person’s breath, blood, other bodily substance, or urine. Third, they must prove that the consumption or use was unlawful. Drivers are often charged with this type of DUI when they admit to police that they recently used illegal drugs or took prescription pills that were prescribed to another person. A chemical test that reveals drugs, intoxication compounds or unprescribed pills in a driver’s system will also result in this type of DUI charge. Additionally, if the police find illegal drugs on an Illinois driver it may result in the driver facing additional felony charges in addition to a DUI charge.